In the present time where most people tend to look at their devices to check the time. Imagine a day when the cell phone has run out of battery, a watch will still be running to tell the time. Watches are a combination of tradition and history. Buy online watches which are essential for all men and women because of watches are extremely convenient and are of great value. They are low cost or almost no cost maintenance time tellers. There are mainly three categories of watches that are available they are- men’s watch, women’s watch and, unisex watch. It is a debatable fact if a unisex watch is actually made for both the genders. Usually, these watches remain unisex until a certain time and then they get stereotyped for a particular gender. A lot of innovative designs have come up in the market to perfectly suit your taste. There is a unique one for every choice. There are some basic differences between men’s and women’s watch. From appearance, we can easily differentiate using the parameters material, color, designs and decorations. While men’s watches are usually simple and basic in design women’s watches are available in loads of colors and designs. Usually, the color tones of a men’s watch are black, silver, brown or golden. Women get a wide range of color to choose from and the designs include floral motifs, pearl dials, and many others. Many men’s watch has multipurpose use of date and stopwatch and this is the possible reason why men’s watches have bigger dials. Usually, men’s watches are loosely fitted. They are also much heavier than the ones worn by women. 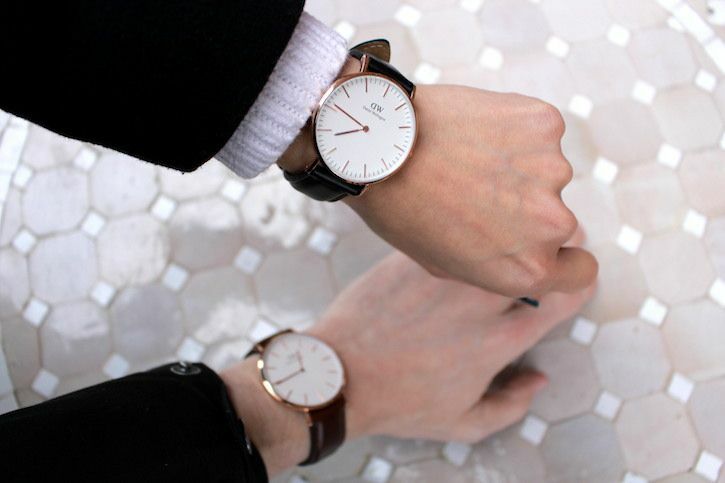 Men’s watch has thick straps while women’s watches are thin and delicate. However, most watches made for women are small in size and much detailed in design. Mainly the dial size of women’s watches is small. With time there has been an increase in the size of the dials for both men and women. The band length of a man’s watch is usually much longer than that of a woman. This is because men usually tend to have a larger wrist circumference when compared to women. The band tapering is also another point of difference between watches used by men and women. If the band is more tapered it is more likely to be meant for women. Usually, the band of the men’s watch is either made of metal or dark color shades. A men’s watch usually means larger and bolder fonts which are used for numbers or brand logo. The materials of the straps used are either metals or leather. They usually have a strong and elegant detailing. A women’s watch usually means fine detailing and smaller fonts. They usually have beautiful patterns or exclusive materials that they are made of. Some women’s watches also consists of precious stones engraved on them. Men’s watch usually turns out to be flashy with their inner and outer detailing. However, a women’s watch is more feminine and subtle. Watches reveal a lot about the personality of the wearer. They are pieces of art that embody craftsmanship. There should be no boundary to watches. One should wear a watch without differentiating between the two, provided one feels comfortable in it. While a majority of men refuse to wear women’s watches, women’s choices are evolving with time and so we get to see a lot of women wearing men’s watches. Watches don’t just tell the time but they are timeless gifts nurtured by humans coming from different eras.